Gene patents have been highly controversial in clinical diagnostics. Proponents claim that these patents promote gene discovery and encourage the production of novel diagnostic tests. Opponents argue that patents are unnecessary for discovery and that they raise costs, decrease patient access, and harm innovation in the field of molecular pathology. In two recent Supreme Court cases, Mayo v. Prometheus and Association for Molecular Pathology v. Myriad Genetics, the Court ruled that biological correlations and human DNA sequences represent natural laws that cannot be patented. These cases appear to have eliminated patent-based monopolization of testing for mutations in human genes and genotype–phenotype relationships and will help facilitate the introduction of large-scale sequencing into clinical practice. The Supreme Court has thereby encouraged the advancement, development, and implementation of personalized medicine. Michael C. Patenting Life, N.Y. TIMES, 13 Feb 2007, at A23. http://www.nytimes.com/2007/02/13/opinion/13crichton.html. Secretary’s Advisory Committee on Genetics, Health, and Society. 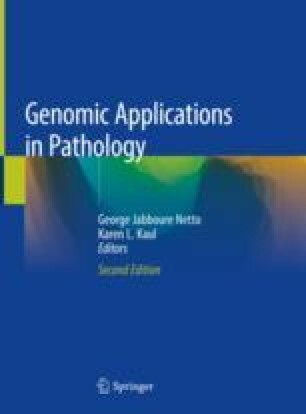 Gene patents and licensing practices and their impact on patient access to genetic tests. 2010. http://oba.od.nih.gov/oba/SACGHS/reports/SACGHS_patents_report_2010.pdf.